To read the updated version of this post, click here! 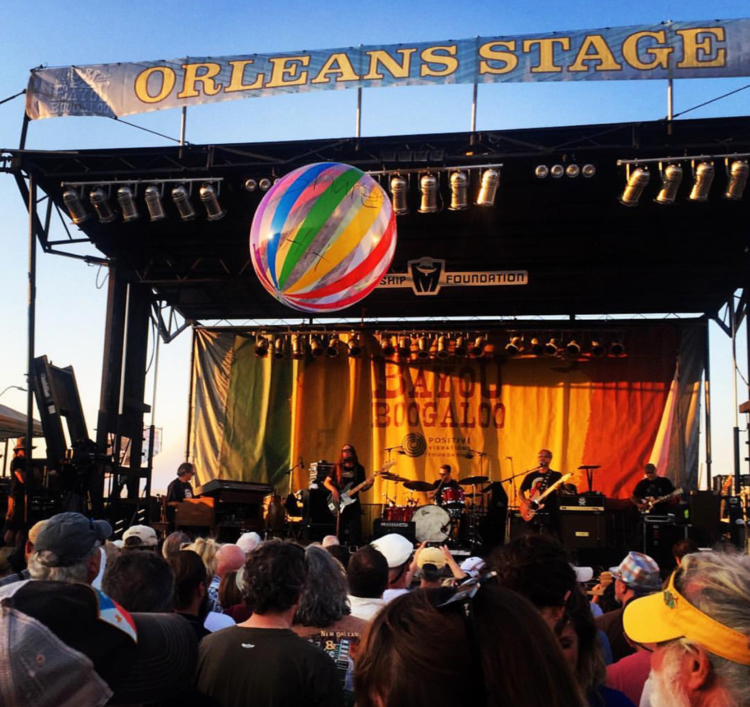 Jazz Fest may be over, but New Orleans festival season is still in full swing! Mid-City Bayou Boogaloo returns to the banks of Bayou St. John this weekend, May 18-20. Founded in 2006 to mark the Mid-City neighborhood's revival after Hurricane Katrina, Bayou Boogaloo will celebrate its 13th installment this year. In addition to a diverse array of musical performances, there will be 30 food vendors serving a variety of cuisine and 60 art vendors presenting hand-crafted works. After a reverse in course, the event will be free and open to the public. Music is slated to take place across four stages, with three main stages and one kids’ stage. Louisiana rocker Marc Broussard, Funk master Leo Nocentelli, African drummer Paa Kow, Toubab Krewe, Walter Wolfman Washington & The Roadmasters, Johnny Sketch & The Dirty Notes, Alex McMurry and more are set to perform. Click here to see the full lineup. Bayou Boogaloo food vendors represent many different flavors of the Mid-City neighborhood and beyond, from Boucherie, Bratz Y’all to Gonzo’s Smokehouse, Canal Street Bistro, Mona’s and Mid-City Pizza. Bayou Boogaloo takes place on the banks of Bayou St. John, the historic Native American navigation canal that was an integral part of our city's founding and reputedly, the location of many of Marie Laveau's voodoo rituals. During Bayou Boogaloo, hundreds of festival goers try to escape the heat and opt to float on the Bayou's cool waters. Dozens of flotation devices will fill the bayou; Homemade floating devices range from pirogues and kayaks to intricate structures that support a floating party! The Mid-City Bayou Boogaloo is produced by MotherShip Foundation, a New Orleans 501c3 non-profit organization dedicated to encouraging social change by improving the quality of life for Louisiana residents through the promotion of arts, culture, and recreation. Proceeds from the festival facilitate efforts such as MotherShip Foundation's Restore the Bayou Canopy campaign. This ongoing effort to replace trees lost to hurricanes has already resulted in the planting of eight live oak trees along Bayou St. John and twelve trees in the Broadmoor neighborhood. In 2018, festival proceeds will be used for MotherShip’s anti-litter campaign in Mid-City. The festival also supports community partners, including Friends of Lafitte Greenway, Upturn Arts, Morris Jeff Community School, and Faubourg St. John Neighborhood Association. For more posts on New Orleans, scroll through the posts below!